Hello beautiful people! So stoked you made it to this page of my website. We’re going to have some fun today. This article is all about my seven secrets for learning kiteboarding. 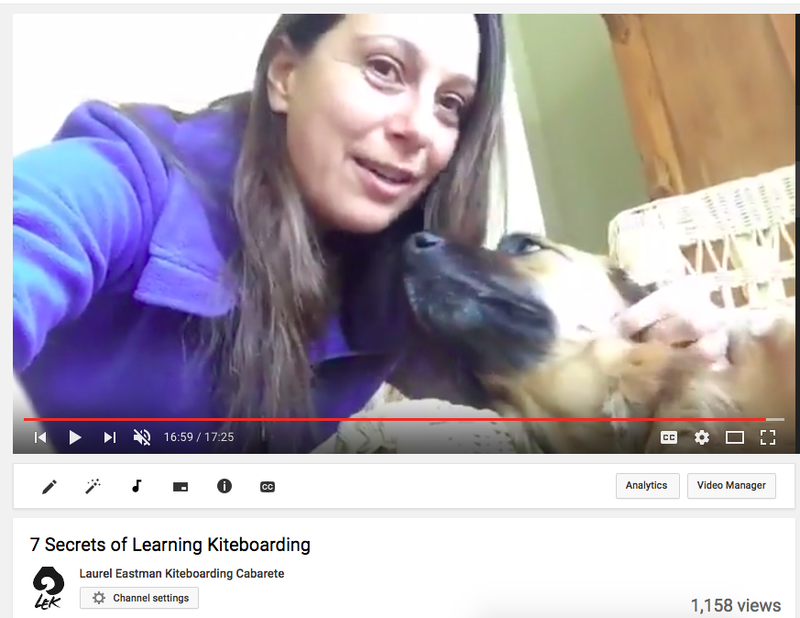 Now, if you prefer to watch (or listen while you do busywork around your house) click to watch my 7 Secrets of Learning Kiteboarding video on our Youtube channel. Now, I’m going to talk about kiteboarding today but keep in mind, you can apply what I’m going to teach you to any sport, to business, to relationships and basically to anything in your life. These seven secrets are going to serve you well. Who’s not ready? Let’s dig in. The number one secret to being an amazing awesome learner in kiteboarding is don’t fight reality. Now what does that mean? Two important things that I want to teach you. Number one, learning kiteboarding is going to be hard. I don’t care what people say, unless you’re a professional wakeboarder or professional race car driver or professional surfer, learning kiteboarding is probably going to be hard. That’s the reality. If you accept this, then you going to feel a lot better as you go through the process. The second, this is really for kiteboarders and beginners it is truly all about flying the kite. There were zero other instructors at that time in the Bay of Islands. I really took that advice to heart, and man, it took forever. It took three months of me chasing the wind and trying to get good at flying kites. When we teach people at the kiteboarding school in Dominican Republic it’s usually four to six days, and even with all the advances in gear and teaching methodology that’s really short. If you can, invest more time, especially before you come to your kite lessons. Fly small kites before you take lessons. Kite flying experience is what it’s all about. Don’t fight reality people. Kiteboarding is all about kiting. I don’t care if you’re a professional board rider, you got to get good at flying kites. It’s going to take time. Don’t expect to get there in one session in one day. Especially, the most important thing that you’re going to need to have, is patience with is the wind. Pretty much guaranteed when you’re learning kiteboarding, you’ll want to go kiting. You’ll book a trip maybe, or book a lesson at your local school. The days going to come you’re going to be pumped, and there’s going to be no wind. I always joke that this is universe testing you to see if you really want to become a kiteboarder. Hopefully the answer is yes. Have patience especially with the wind. Just realize that. The other thing you really want to have patience with is yourself. Try to be thoughtfully, constructively critical of your performance but don’t get down on yourself. Realize this is a process. You’re not just going to grab the kite and all of sudden like sail off into the sunset and chasing me into the reef there in Cabarete. It’s going to take some time. You’ll get there. We’re going right into the third secrets of learning kiteboarding, or other sport, or anything you want to achieve in your sports or business life. You need a map of where you are going to go. It’s like a blueprint for you to build your success upon. When I learn skateboarding way back in 1999-2000, YouTube didn’t even exist and the only media examples I had was a 1/4 page sized magazine called NZ Wind & Kite. However I had a very clear goal in my mind. I knew that I wanted to be a professional kiteboarder, and I’d seen this in action. Not yet in kiteboarding but in extreme skiing and snowboarding. I was lucky to have worked with Tony Harrington and the crew who put on the Rip Curl World Heli Challenge in Wanaka New Zealand. I’d seen first-hand, very close up, extreme athletes doing their job: competing, working with the media, and partying like rock-stars. That event, and those athletes, that was my map, my blueprint. I really had a clear idea of what I wanted to become. The other thing I had was a kiteboarding magazine: New Zealand Wind Kite magazine that my friend Shane had published and I remembered just looking through that like looking a pictures of Flash Austin. Those were my blue prints. If you’re thinking about what you want to do, set a S.M.A.R.T. goal for yourself, Specific, Measurable, Attainable, Realistic and Time-bound and really take your kiteboarding journey seriously. Well…. remembering that you’re still just flying kites after all! If you’re reading this, maybe want to give me a comment about what’s your kiteboarding goal? If you’re serious about radically improving your kiteboarding I’d love for you to join me in my Awesome Kiteboarders Facebook Group, make a post to #INTRO yourself to our group and share your goal. Making your goals public puts a little pressure on you to achieve them. This is my favorite tip and this is for everybody! It doesn’t matter if you are a beginner or pro. This is all about the butterflies in your stomach. You know when you’re getting ready to do something like launch your kite for the first time in a new place or descending into a steep mountain or climbing up to a mountain your kite, whatever it is. You know that feeling of the butterflies in your stomach. It’s easy to feel that and think: I’m scared. WRONG! I learned this trick when I was working with my amazing friend – the two times world champion in freestyle, Cindy Mosey – on her women’s events that we ran in the South Pacific for 4 amazing years. During one of these events: we’re on our friend’s island private island in Tonga, swimming with the whales (amazing and awesome – put this on your bucket list! At this fun women’s week focused on coaching, we had a little fun competition component for us, the pro coaches. We were setting up a boardercross contest, a Chinese downhill style start (where we all start at one time) and I was nervous. And you know what I did? I went out, kited the race, and did great! And you will too. The number five secret to learning kiteboarding is: you have to let it take you. Just say yes. Follow Richard Branson’s advice, “Just say yes.” Kiteboarding will take you to great places. When I learned kiteboarding in 1999/2000 in New Zealand, it was getting to be winter and I thought…. “Well, I can either buy a wetsuit or I can buy a plane ticket to Hawaii.” I took to let the leap and I flew to Hawaii with around $200 in my pocket. I knew nobody. But you know what? It worked out. Better than I could have ever imagined. So, YOU…. let it take you. Kiteboarding will take you to cool places! Who knows where? The BVI, climbing mountains in Alaska? One of my favorite moments was snowkiting on an Alaskan glacier, and we opened our kite and threw Bahamas sand all over the snow. I want you to experience that type of adventure in your kiteboarding life. Alright, two more to go people. The sixth secret for learning kiteboarding! This one actually I borrowed from my friend Elea Faucheron who’s also a board member of the Women’s Kiteboarding Collective (formerly KB4girls) and a life coach with her company Move Think Smile. This is accepting that you’re going to make mistakes when you learn. You’re not going to grab the kite bar and all of a sudden just fly perfectly. You’re not going to get it straight away, so hail the fail, and listen up people. If things are easy, they’re not rewarding. If you just breeze through, it’s not going to be valuable to you. Understand and just embrace it. Take it one step further. Give yourself a permission to enjoy when you flail. Give yourself a permission to be totally be silly out there. Don’t get sad if you screwed up, it’s only kiteboarding! Lastly, the very last secret – and it’s the most important one – and it’s super simple. Have fun! Just go out there and have fun. You’re on a journey. You are on a hero’s journey. This is going to be an amazing path for you. Through kiteboarding you’ll go to great places, you’re going to meeting incredible instructors, cool new friends, and you are going to have a ton of fun. It’s up to you to really embrace it. So, embrace the learning and realize you’re never going to be done learning. Just have fun, you are on a hero’s journey and this is a tough sport. Don’t fight the reality, have patience, know where you’re going have your map, have your blue prints, your mentors. Give those butterflies to fly in formation. Let this sport take you and hail the fail. I promise you, you’re going to love it. That’s it. We’re done. It’s been really fun to teach you about this and thanks to everyone who joined in by reading this article. Next up: go to my YouTube channel. I have really good instructional videos (if I do say so myself). Watch some of our kiteboarding instructional videos and subscribe to my channel. 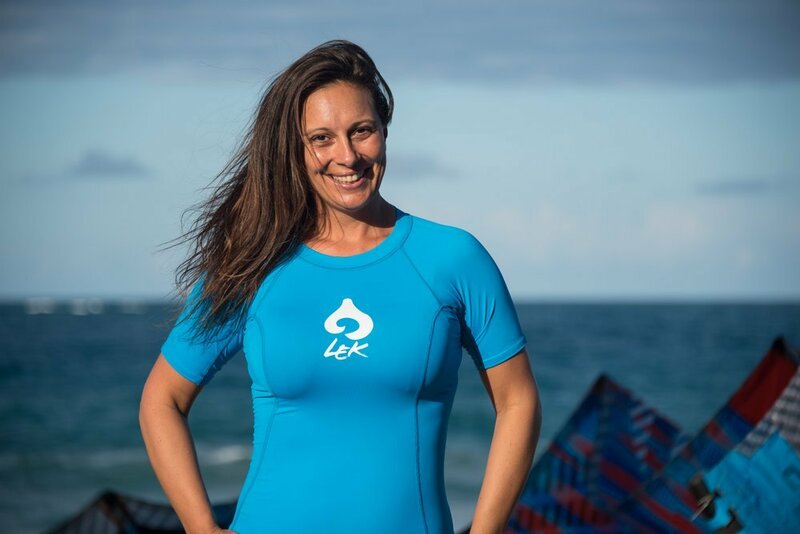 Sign Up To Receive My Emails – I love teaching, and making you all better, safer, more knowledgeable and MORE AWESOME kiteboarders! You’ll love my emails, so go sign up now! Until next time, thanks so much for reading, for being here and for being awesome.